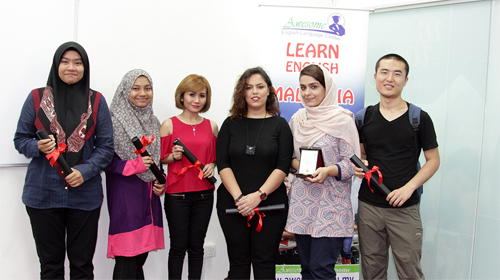 Located in Wangsamaju in the city of Kuala Lumpur City, Awesome English Language Center takes a collaborative approach to learning and teaching English language.The main focus is to generate student interest by adopting an interactive and communicative approach, giving results faster and better. 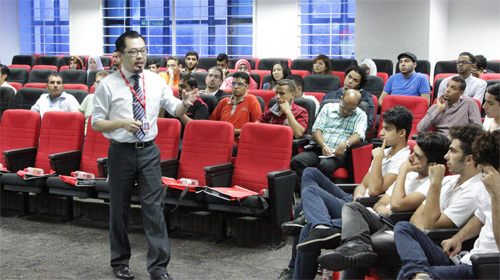 The course is centred on being able to meet real world challenges. Awesome prides itselfof having a team of experienced English faculty and English native speaking teachers (both American and British). 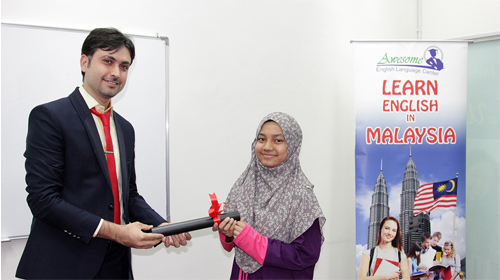 The Awesome English Language Institute is considered among the most renowned institutes of Malaysia. Why Awesome English Language Institute? Modern techniques of Learning - Learning is imparted in the Awesome English Language Institute with the help of state-of-the-art technique like multimedia devices, audio files and CDs, computers and television programs etc. – all of which help the students to understand the nitty-gritties of the language. 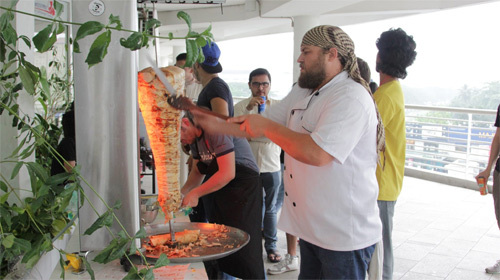 Central location –The institute is located in central locations, which allow students from any part of the city to enrol themselves to the English courses. Competitive Course Fees – The course fees at the Awesome English Institute are rather competitive compared to the other institutes of the country, giving it an edge over others. Compared to the cost, the level of education imparted at the institute is of very high quality. A typical day would have 5-hour classes. Furnished hostels are provided to the students of the institute, within walking distance of the institute. These hostels consist of apartment units which are situated in residential condominiums. These are in the vicinity of different restaurants, banks, cinemas and hospitals. Each Apartment is 4 Bedrooms. If your latest certificate is Master degree and it’s not ready, you can send the previous qualification i.e. Bachelor degree.If your certificate is not in English, you must translate the same in English then send us along with the original one. Passport validity must not be less than 24 months from the date of admission. All pages of the passport (including the empty and cover pages) are required. Two facing pages must be scanned in one A4 size page. Photograph measurement: Height (50mm) and Width (35mm). Apply for Single Entry Visa (SEV) in embassy of Malaysia in your country. – This takes about 1 week. Note: some embassies in some countries require the original VAL. In that case,just find out from the embassy before you go there. If they require original VAL, send us your Postal address and we will send you original Val.